Click here to view the member's full district 85 map. Click here to view the member's interactive district 85 map. 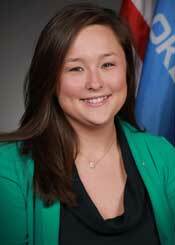 Originally from Lawton, Cyndi developed her passion for public service at an early age. Her father’s military service taught Cyndi and her sister, Sandra, the importance of giving back. Cyndi began living this lesson as early as she could, serving in student government at Eisenhower High School and attending the American Legion Auxiliary’s annual Girls’ State program. Cyndi continued to follow her passion for community involvement by serving in student government at the University of Central Oklahoma. A first generation college student, Cyndi graduated from the University of Central Oklahoma with a Bachelor of Arts in Political Science, and the University of Nebraska – Lincoln, where she earned a Master of Science in Leadership Education. She used a semester of her undergraduate career to study non-profit and voluntary services at Georgetown University in Washington, D.C. While at the University of Central Oklahoma, Cyndi was awarded the Presidential Gold Medal for Leadership and Public Service. Cyndi has spent a decade working and volunteering in Oklahoma City’s non-profit community. She spent the last five years working with Girl Scouts of Western Oklahoma, providing leadership programs for thousands of girls in low-income schools, juvenile detention centers and public housing. Cyndi is an alumni member of Leadership Oklahoma City’s LOYAL Class VIII, a skill-based leadership training program for young adults beginning their civic lives. 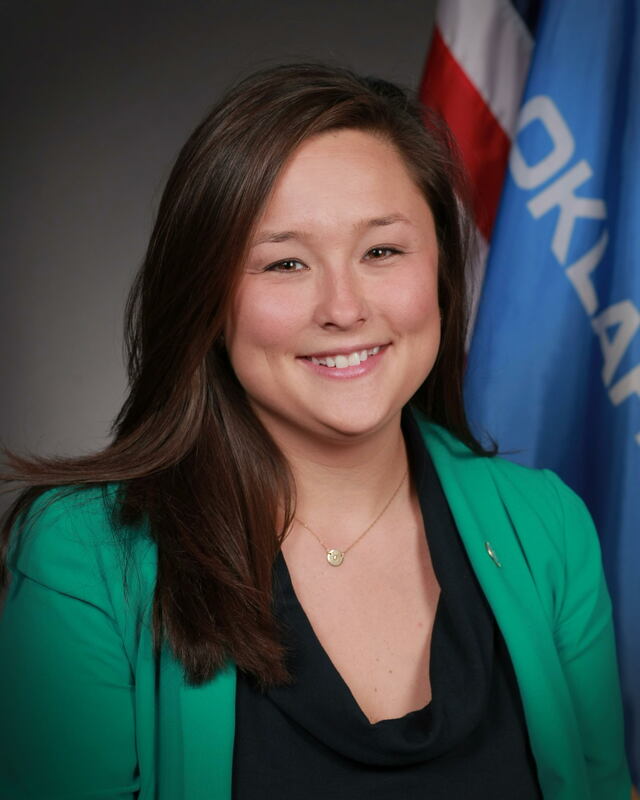 In the community, she serves as chair of the Infant Crisis Services Young Professionals Group, member of the Oklahoma Messages Project Board of Directors, and member of Big Brothers Big Sisters of Oklahoma City Resource Board. Cyndi is a 2006 graduate of the National Education for Women’s (N.E.W.) Leadership program through the University of Oklahoma, a program for undergraduate women interested in public service. Elected in September of 2015, Cyndi became the first Asian-American woman elected to the Oklahoma Legislature. In her free time, Cyndi enjoys running, reading, mentoring young women, trying new local restaurants and attending events in Oklahoma City, and spending time with her family and friends. Cyndi is also an active member of Crestwood Vineyard Church in Oklahoma City.